excellent party food.Kids Like it as it don't have any masalas. 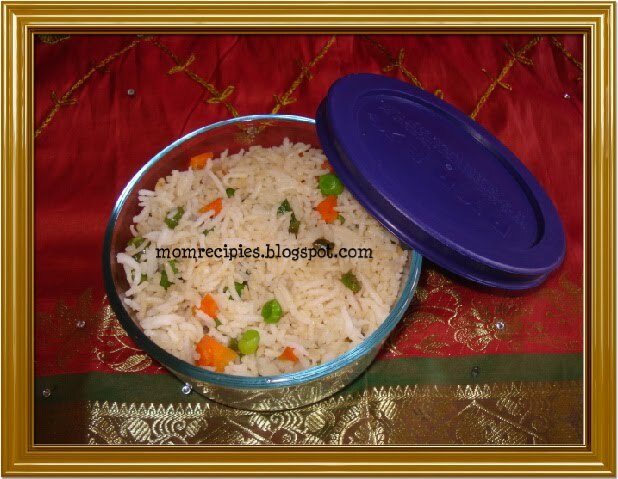 1) Wash and Soak Rice for 30 mins. 2) Heat oil/ghee in a pressure cooker. Add onions fry till they become transparent then add ginger garlic paste and fry for a min. 3) Then Add the veggies and mint and fry for a min. 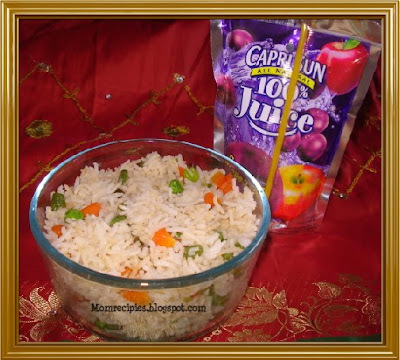 4) Add soaked and drained rice and water. Add salt to taste. 5) Tie all the whole garam masala in a muslin cloth /thin white cloth.Tie the knot tightly and drop in the water. 6) Close the cooker and cook till rice is done or for 2 whistles. 7) Switch off the heat, let the cooker fully cooled down. 8) Open the lid and remove whole garam masala bag from it. 9) Serve hot with any gravies.